The Science Lab is here to help the students further understand the complexity and beauty of Science. 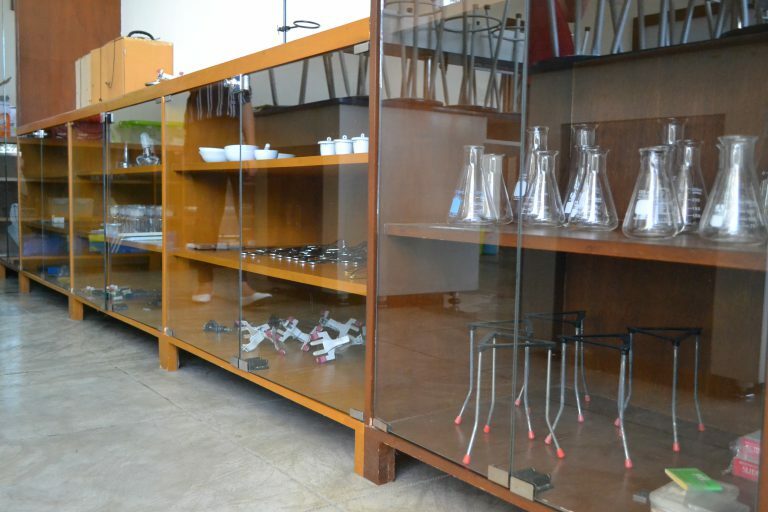 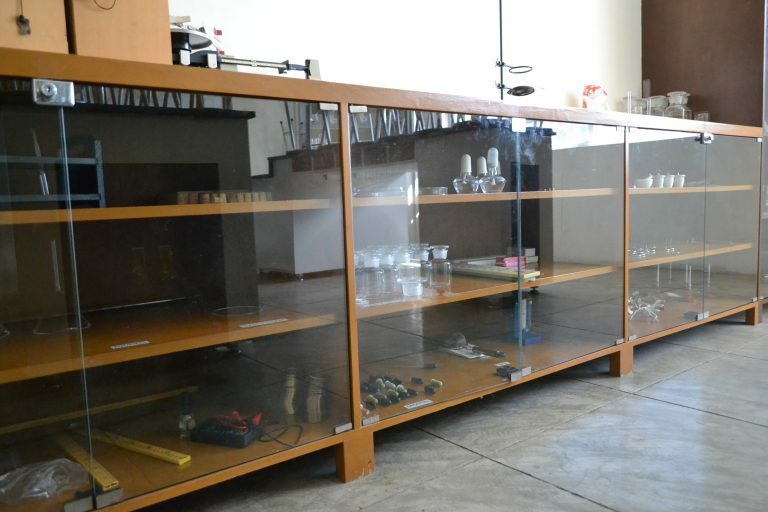 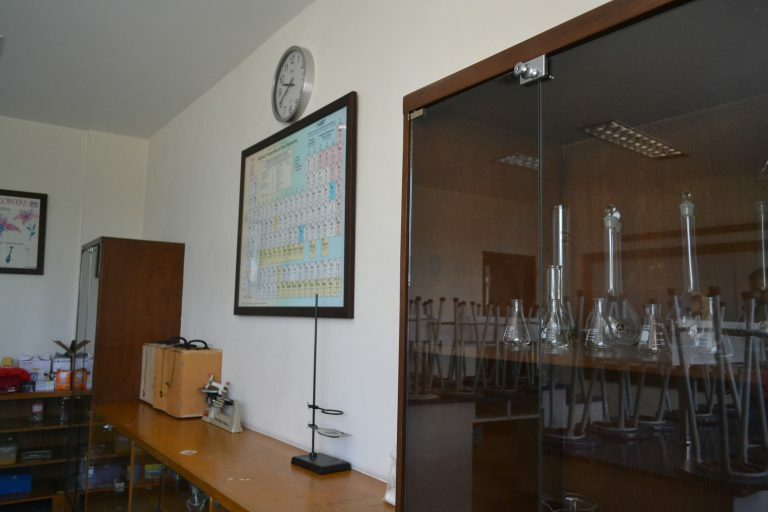 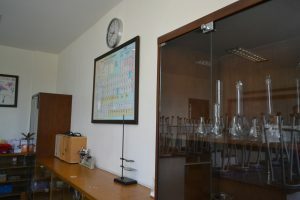 Various equipment are stored properly in the cabinets and a huge periodic table of elements is framed and hanged on the wall. An emergency shower stall and fire extinguisher are present in the lab as a precautionary measure.